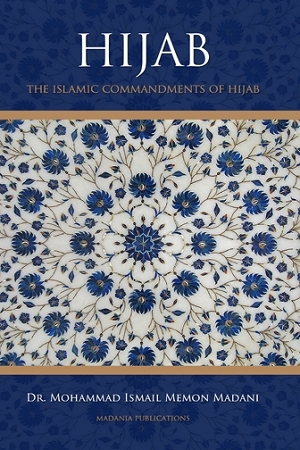 In this book, Dr. Ismail Memon Madani makes it self-evident through ayas of Qur’an, detailed explanations from the famous Tafsirs, and the ahadith that hijab is indeed an Islamic commandment which has been observed by the wives of the Blessed Prophet (Peace be upon him), the Sahabiyat (May Allah be pleased with them), the pious predecessors and our whole Umma for the last fourteen-hundred years. The book details the requirements of hijab are according to the Qur’an and Sunna. This book also highlights how hijab is the most effective tool in maintaining peace and purity in society and how abandoning it leads to promiscuity and shamelessness. Click here: to Buy Now!